There's a new IPO coming to Canada in the totally bombed out sector that is junior mining. The man behind the deal is Keith Neumeyer. For those of you that don't know Keith, he built First Majestic Silver (TSX:FR) and took it from penny stock status to $25 a share (in the heady days of 2010-11) with a 3 billion plus dollar market cap. It is now one of North America's leading silver producers and even in today's beaten up silver market it remains profitable with a market cap of around C$900m and a share price of $7.50. Keith was previously behind First Quantum Minerals (TSX:FM), which followed a similarly enormous trajectory to become one of the world's biggest copper producers. His record in mining is pretty much second to none. Also involved are many of the other key personnel from First Majestic, such as Ramon Davila and Raul Diaz. 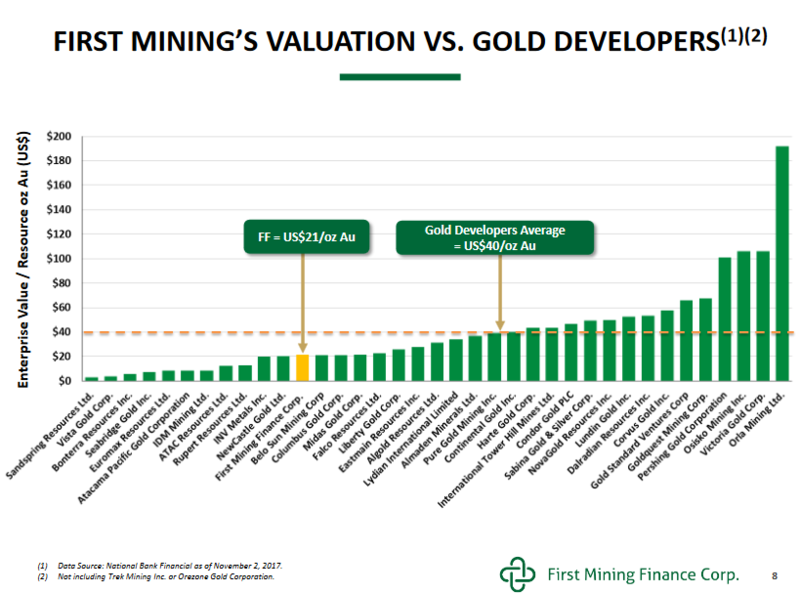 The strategy of the company is, simply, to tap into their huge knowledge base and use it to acquire as many quality mining assets as possible (Americas only) while they are going for a song (we're currently seeing the lowest valuations in 20 years), spend as little as possible on them (watch them 'incubate' I believe is the word) and wait for the time that the mining capital markets stabilise at which point they hope to have a pucker portfolio of assets on their hands. Revenue will eventually come from re-sales, JVs, royalties and streaming structures. They already have 18 properties at various stages of development (gold, silver, copper, lead and zinc) and have raised C$2.7m. The company will IPO in Canada via an RTO next month and plans to raise another C$5-10m (at 50c) in the process. 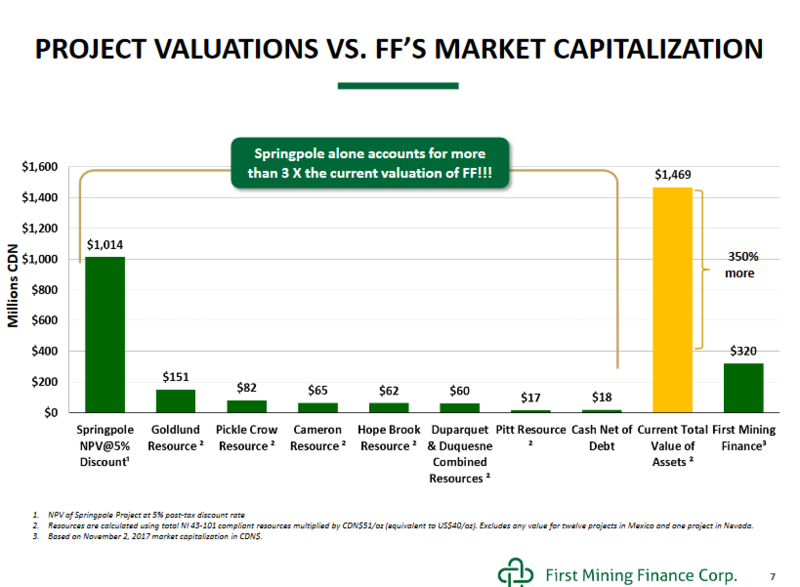 A C$10m raise would mean 80m shares outstanding an an approximate market cap of C$40m. Management will own about 10% and First Majestic shareholders 25-30%. 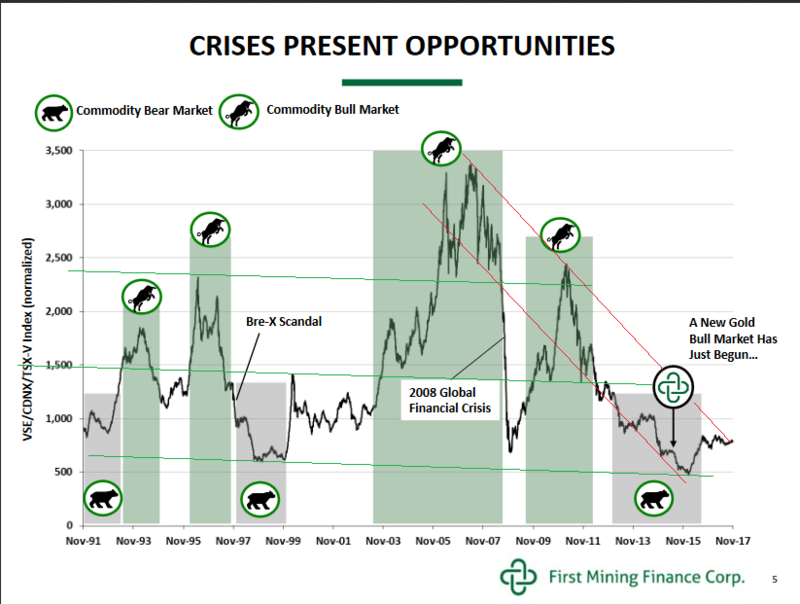 The success of First Mining Finance depends on the metals markets, of course, but the ideal situation would be for them to remain depressed for another while so that assets can be picked up for zilch and for things to then pick up, as surely they one day will. I don't know what the market reaction to the stock will be, of course, but I suggest this is one to hold for three to five years. Anyway, if you are interested in finding out more or in taking part in the IPO, please let me know and I'll send over forms. If you want to speak to Keith, I'll try and arrange that too. frizzers at gmail dot com. It sounds interesting - and the timing could be excellent. 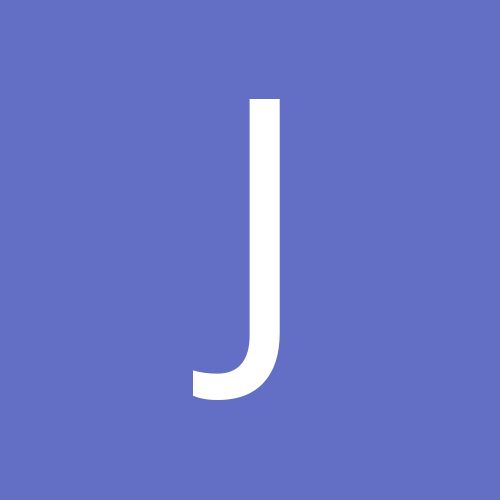 Assets are very cheap now, and with Keith Neumeyer managing the company they should have or be able to attract all the skills they need to succeed. Thanks, I wish I had seen this a few days ago. I'll look out for this when it's trading. Funnily enough, I think I may have been waiting to talk to Keith when he did this interview. He was at the M&M conference and I waited a long time, and we never got a chance to meet. So this interview is of greater interest to me. FF is now trading ! Time to take a Fresh Look? 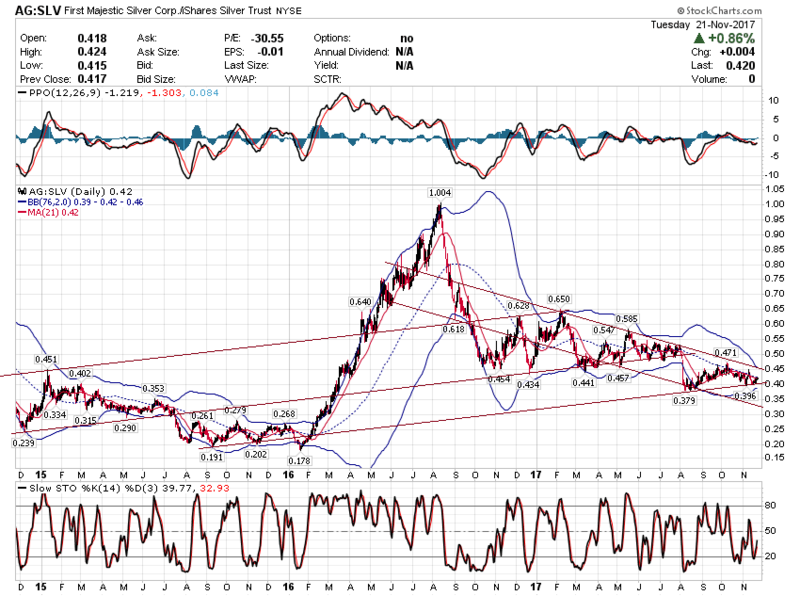 GOLD & SILVER BULLS CAPITULATE: BOTTOM IN? Ratio : FF.t to FR.t - buy at 6%? 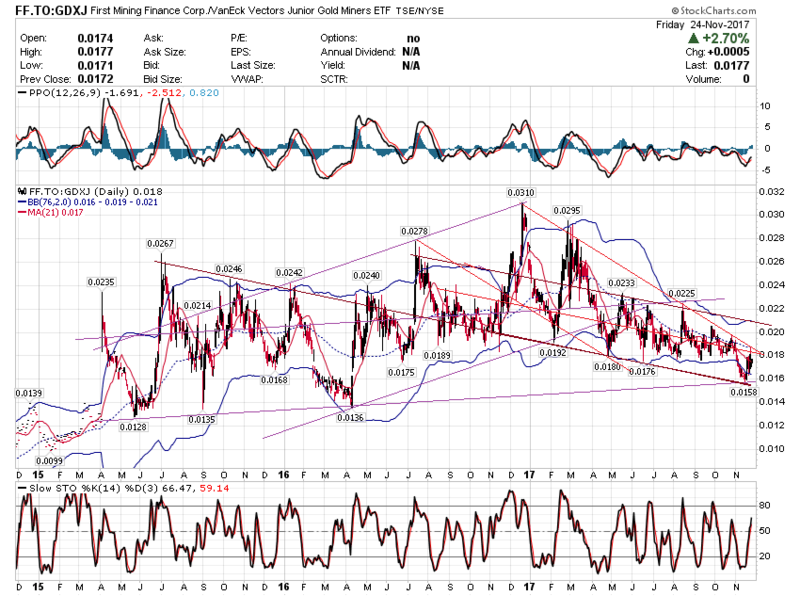 Ratio: FF.t to MNT.t - buy at 3pct ? Is 2018 the year of the silver rally? Keith Neumeyer, CEO of First Majestic Silver Corp., thinks so and expects the metal to climb eightfold over the next 3-5 years. He says silver is a story of supply and demand: “to go green, to do all the things we want to do as the human race gets off oil and gas, we need a ton of silver.” He says that unlike gold, silver is a strategic, rather than precious metal, and should trade closer to its mine ratio. 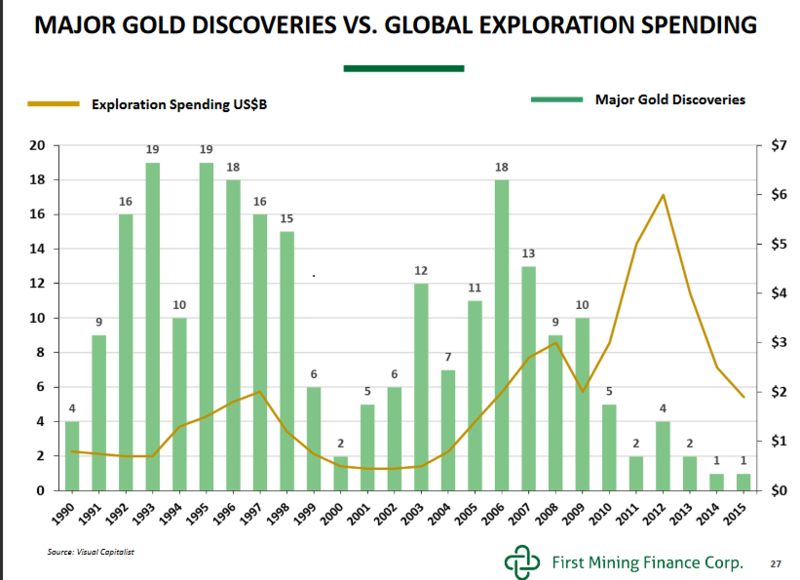 “[First Majestic] is currently operating at a mine ratio of 9 ounces of gold for every ounce of silver, so silver should be trading at around 9:1.” Currently, the gold-to-silver ratio stands at around 76 and that is why Neumeyer says he sees silver prices headed for $130 an ounce. Who knows why we saw the big move up today. It's nice to see though and waaaay overdue. Just a guess.